These Rustic Aviation Signs are printed reproductions taken from hand painted originals which are then applied directly to distressed wood panels giving them an antique appearance. 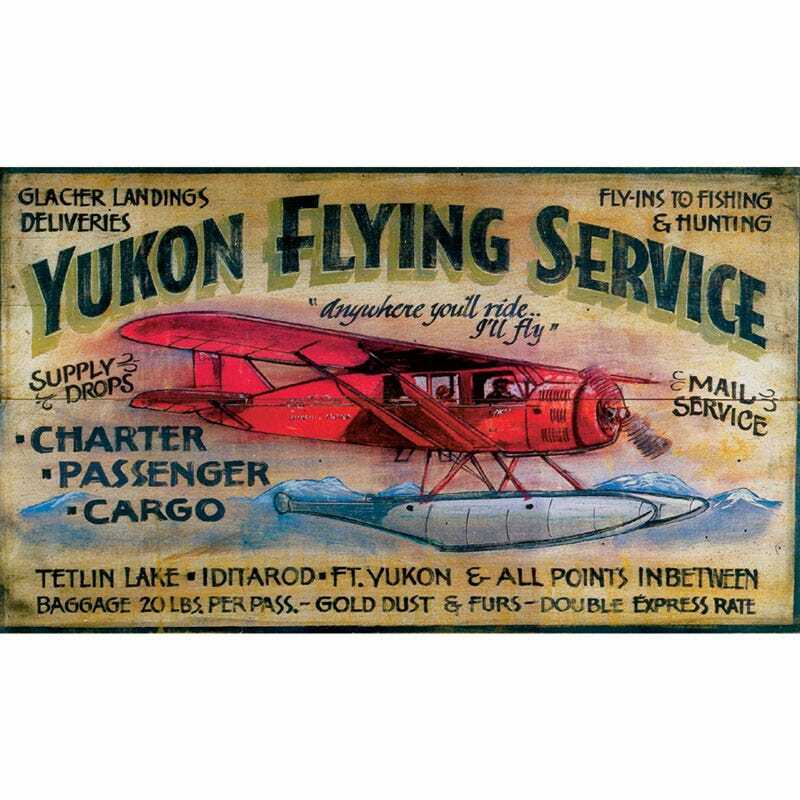 The Yukon Flying Service Sign with its floatplane and mountain scene is suggestive of flying in bush country. It measures 14”h x 24”w. Highly recommend. Looks high quality and authentic. Buying a second one.